2-for-1 special: Buy MER 2017 or Master Bender Gold and get the other one for free! 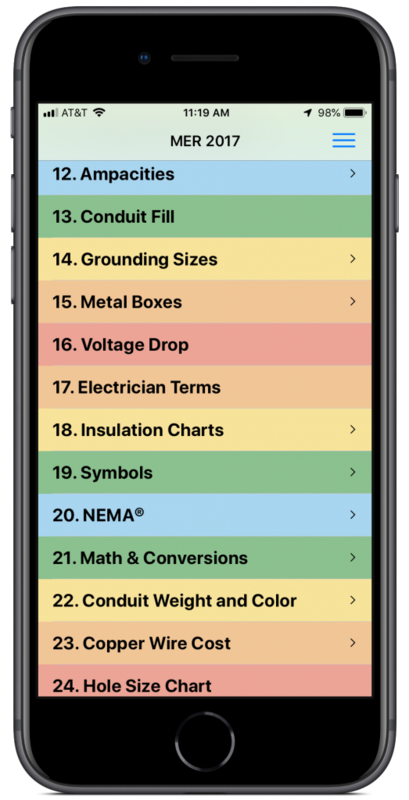 Just visit the App Store on your iOS device and search for “Master Electrician Bundle 2017”. Offer won’t last, so take advantage of it today! Click here for more information about Electrical Code-A-Day. 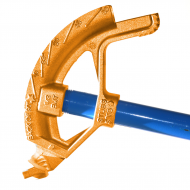 Master Bender Gold is the industry’s leading and most precise conduit bending app since 2007. 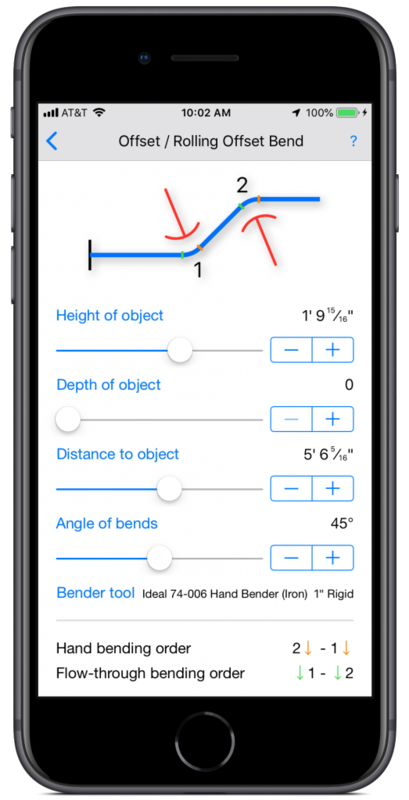 Master Bender Gold is a conduit bending calculator for electricians. Master Bender Gold can also be used by plumbers and pipe fitters, who can enter their own tools into the app. Master Bender Gold aids you in bending conduit raceways. It takes the math out of bending and allows you to concentrate on the task at hand. Master Bender Gold supports the following types of bends: offset bends and rolling offset bends, three and four point saddle bends, parallel bends, segment bends, concentric bends, gain/take-up, and 90 degree bends around a round, square, and rectangular object. It supports both cosecant and precision bending formulas using the centerline radius of the bend. Click here for more information about Master Bender Gold. Have you ever lost pages or had damaged pages in your pocket electricians reference? The solution is here: Use MER to keep the most important information easily accessible on your phone or tablet. MER will even do calculations for you; something your old pocket reference book can’t do. 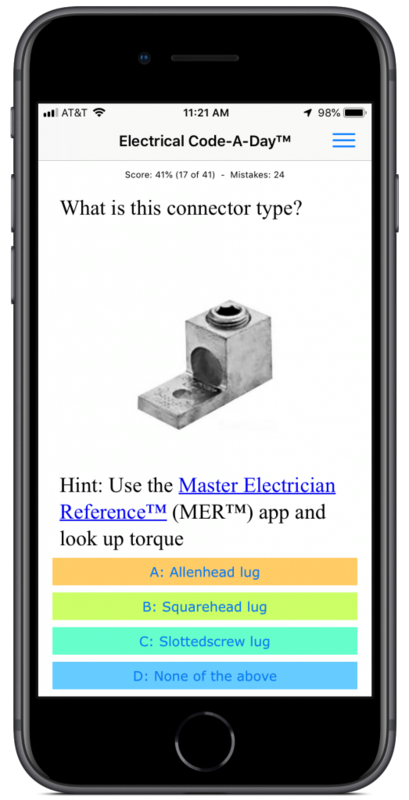 MER contains the answers to many of the questions in the Electrical Code-A-Day app. Click here for more information about Master Electrician Reference.